It’s the final stage race of the 2017 Women’s World Tour, and the final big Dutch race of the season – the Boels Rental Ladies Tour. Expect killer tactics, with attacking every day, and a surprisingly hilly race for such a flat country. It’s in the south and central area of the Netherlands. It starts with a 4.3km Prologue, then Stage 2 starts flat, with hills at the end; Stage 3 is an 18km ITTwith some technical parts to the course; Stage 4 looks great for breakaways, mostly flat but with some small inclines; Stage 5 starts in a valley and finishes with Classics-style loops; and the final stage is really tough, 159km up and down all day. We can’t see this one live, but there’ll be twitter updates and daily video highlights from the race youtube and from the UCI. I’ll be there tweeting from the race account, and we can follow on the #BLT2017 hashtag. Tuesday’s Prologue and the Thursday’s ITT will both have live-timing, on Cyclingonline.info. The Netherlands is in European CEST: 1 hour ahead of UK BST, 6 hours ahead of USA EDT and 8 hours behind Australian AEST. So when the Prologue on Tuesday 29th starts at 14:30 CEST, that’s 1:30pm BST, 8:30am EDT and 10:30pm AEST. Lots of information about the route, and videos of previous years on the race website, and provisional startlist here – and here are the highlights from last year, when Chantal Blaak won her first ever stage race. Tons more videos on the YouTube! Watch the 2017 GP de Plouay LIVE! It’s the last big Classic of the women’s cycling season, and wow, I love this race. It’s got one of the ugliest tough climbs in the sport, the Côte du Ty Marrec, which is this tough, grinding dual big wide road that looks pretty benign, but is tough as hell. It was the site of what’s still one of my all-time favourite cycling moments, in 2010, when Emma Pooley, after sandbagging her heart out, caught Marianne Vos, Emma Johansson and Judith Arndt out on that last climb, attacking up the inside right just as Vos looked over her left shoulder. I’ll never get bored of that! And then last year, after hundreds of attacks, catches, splits and reformations, a group of around 20 elite riders came to the line together, and definite underdog Eugenia Bujak started her sprint surprisingly – and won! The biggest result of her career, and for her team BTC City Ljubljana. And that’s what makes a Classic classic to me – that feeling that we’ve got no idea what will happen right up til the last moment. Plouay, like all my favourite races, has been won every way from solo to small group to large bunch, and I love it for it. Who could win? Practically anyone! Like last year, it’s 4 laps of the 26.9km circuit, and then one of 13.9km. I have to warn you, there’s pretty much no mobile phone coverage of the northern part of the big loop, because it’s running through beautiful forests, so we don’t get many updates on twitter, BUT part of it is live on TV! TV coverage will start at 15:15 CEST (2:15pm BST; 11:15pm AEST; 9:15am EDT) on France 3 TV, which you can watch here if you’re in France (or via VPN). It’s also going to stream on the Eurosport Player, through maybe without commentary, and there could be more streams here and here – and I’ll tweet streams on the day. To follow on twitter (with the caveat of the lack of mobile coverage on a lot of the course), the race twitter is a good one, last year’s hashtag was #GPPlouay, and of course there’s #UCIWWT too. And I have my usual list of live-tweeters. The provisional startlist is here, and there is the great Cycling Fever one too. Tons more information, including about the full 4 days of Plouay cycling festival, on the race website. Want more? Collections of videos of Marianne Vos winning 2013, 2014‘s solo win by Lucinda Brand; 2015, won by Lizzie Deignan from a small group. Big thanks to my amazing Patreon supporters for funding me to do this kind of thing. 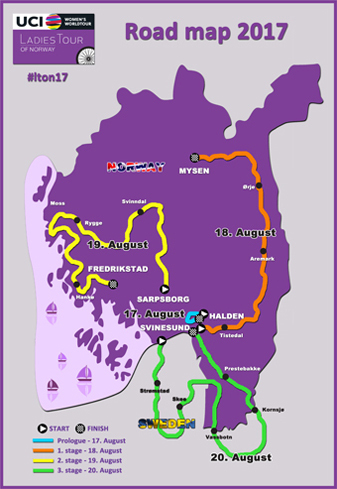 The Women’s Cycling Road WorldTour is in Scandinavia, this time in Sweden, and we can watch the Crescent Vårgårda WorldTour live in full! The race starts at 09:35 Euro CEST (8:30am UK BST, 5:35pm Aussie AEST/03:35am EDT) and it’s live in full on Swedish TV station SVT1 & SVT Play (people outside Sweden may need a VPN to access). Then, an hour into the race, from 10:30 CEST/9:30am UK BST, it’s live on the Eurosport Player and on Eurosport 2 in some countries including UK, with more TV here. You can also look for streams here, here and here. I love this race, especially with the new gravel sections. You can also follow on twitter with the #VargardaWWT and #UCIWWT hashtags, and of course the race twitter.